This picture reminds me of my youth when I loved to investigate area woodlands and pick wildflowers. It was also inspired by the beautiful waterfalls in the Finger Lakes region. Botanicals include hydrangea japanese and sugar maple leaves, black cohash, ferns, solidigo, cotton, delphinium, bridal wreath, queen anne’s lace and ixora. 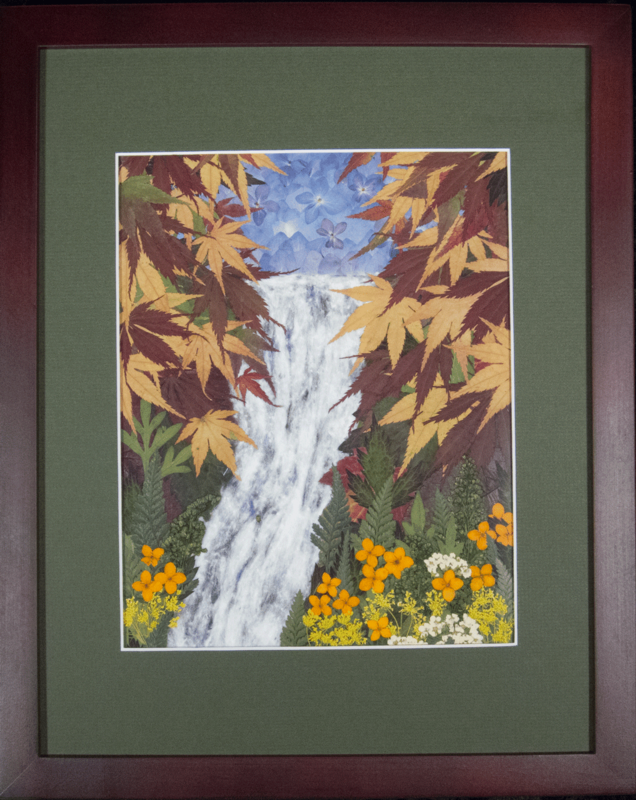 This piece was framed with a simple mahogany wooden frame and and hunter green mat. It was vacuum sealed between a layer of mylar and acrylic and topped with a layer of 99% UV conservation glass for added protection.